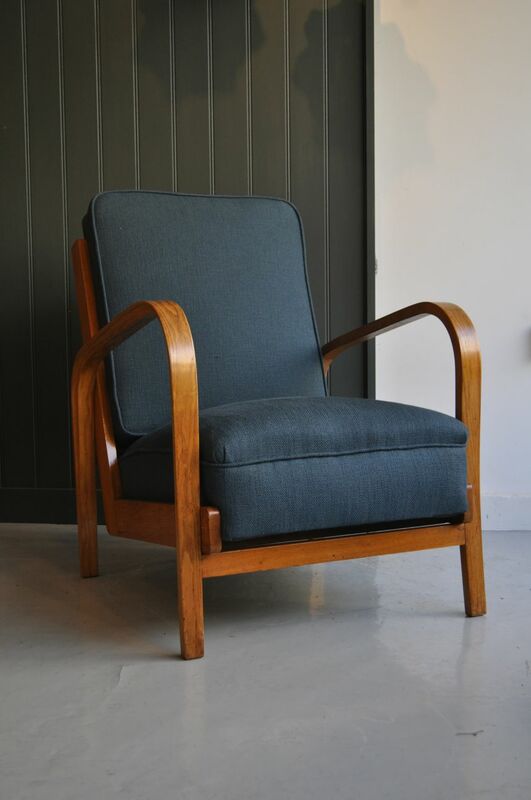 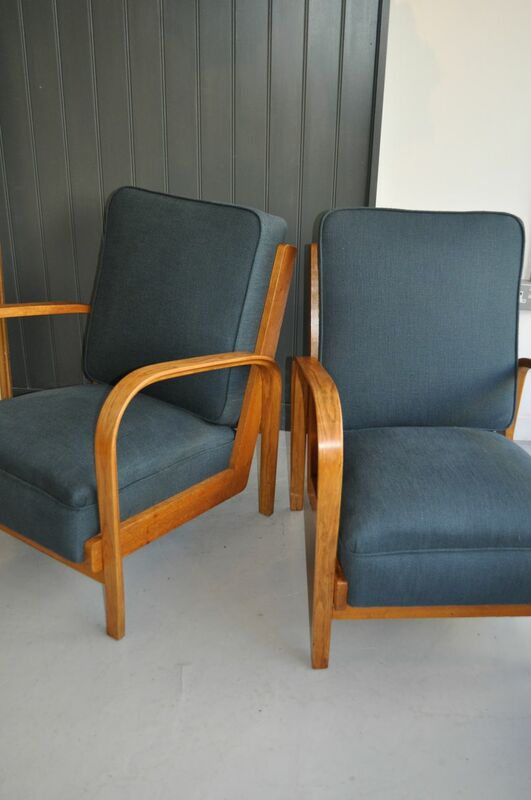 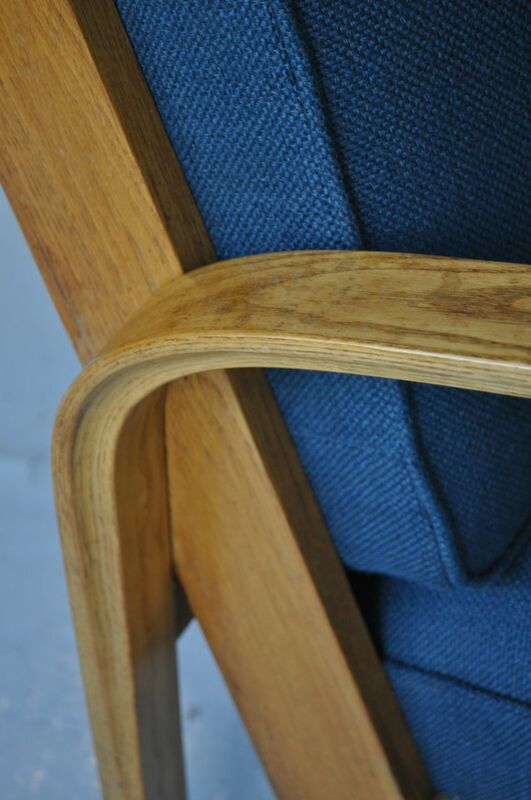 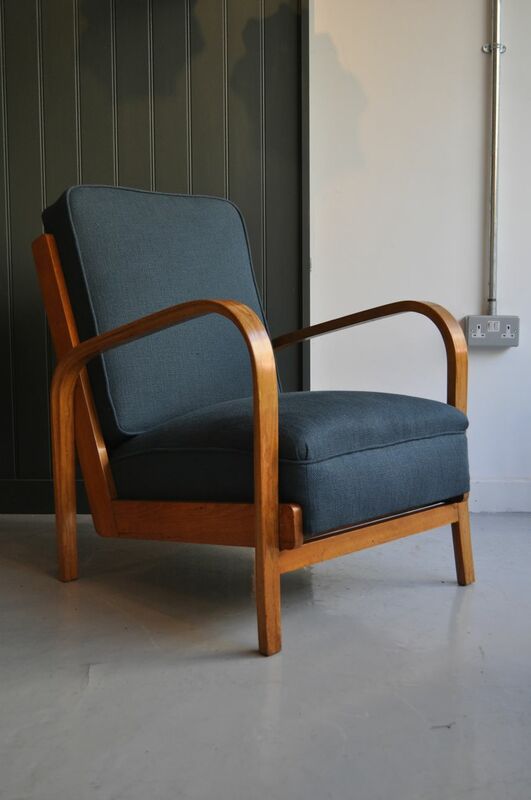 Pair of oak mid-century open armchairs with steamed sweeping arms, and newly upholstered in a teal fabric. 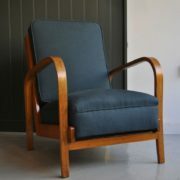 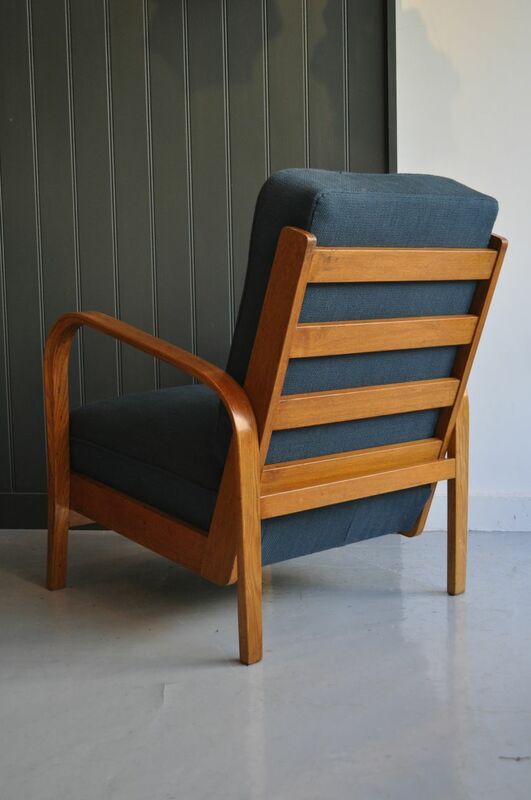 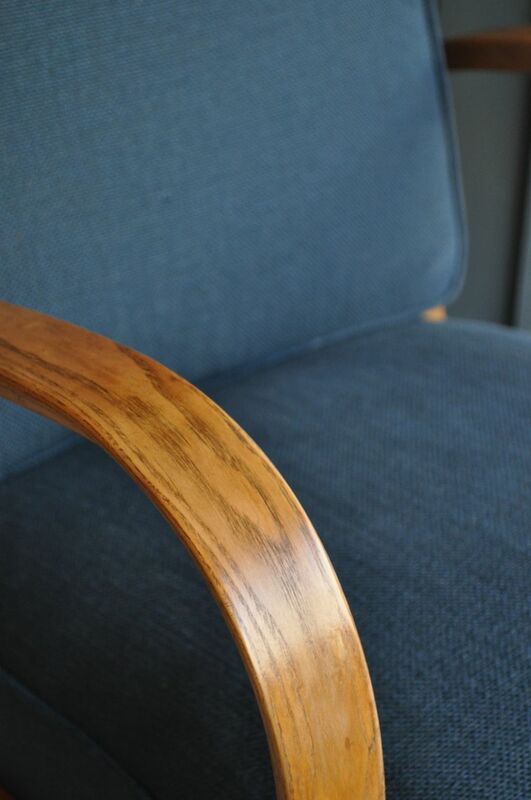 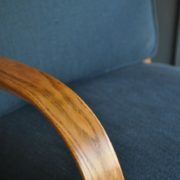 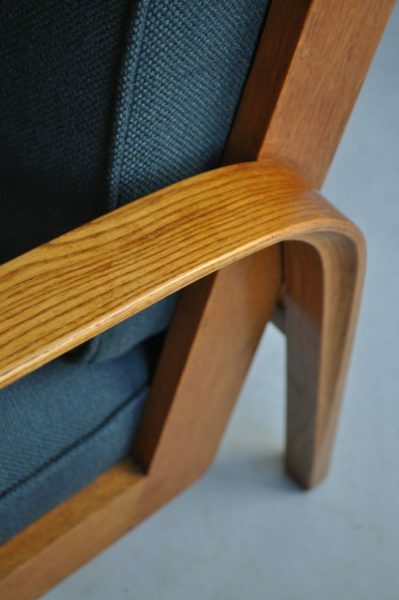 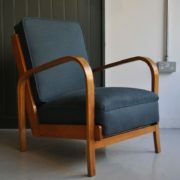 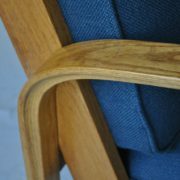 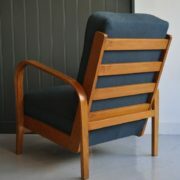 Lovely profile to the arm/leg, and a great size – big enough to be comfortable, but a relatively small footprint. 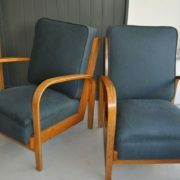 Good vintage condition, with only light wear in keeping with age.